We have seen some terrible booking decisions at SummerSlam. 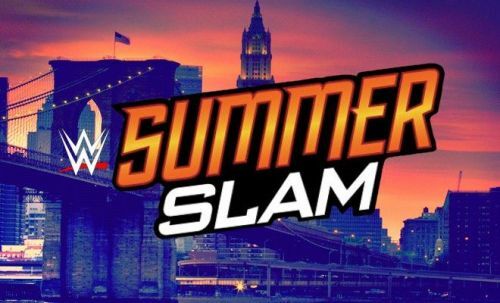 SummerSlam is just around the corner, sparking excitement for the second biggest pay-per-view of the year. There have been thirty editions of the Biggest Party of the Summer. A lot of great matches and moments have been showcased at SummerSlam, including the show-closing wedding between Randy Savage and Miss Elizabeth, the Bret Hart vs British Bulldog IC title main event, and the absolute destruction of John Cena at the hands of Brock Lesnar. We have seen countless other memorable moments at the August supershow. However, it is not uncommon that sometimes SummerSlam turns out to be a dud. Many things could go wrong during a pay-per-view, like having below average matches or booking the wrong person to win them. These things have also infested SummerSlams in the past. There are situations where the logical winner is an obvious one for the benefit of everybody, but the WWE does the exact opposite. It is extremely frustrating and it may leave fans with a sour taste in their mouths. For every magical moment in SummerSlam history, there has been a barrage of bad decisions. These bad decisions then turn out to be costly for the performers who suffer. We have seen multiple wrestlers fail to recover from SummerSlam losses. Such missteps are detrimental for the wrestlers involved, whose momentum gets flushed down the toilet. These victories were all unnecessary and did nothing for the victor, in any shape or form. Here are five times the wrong person won at SummerSlam. Shawn Michaels flopped around the ring at SummerSlam 2005. 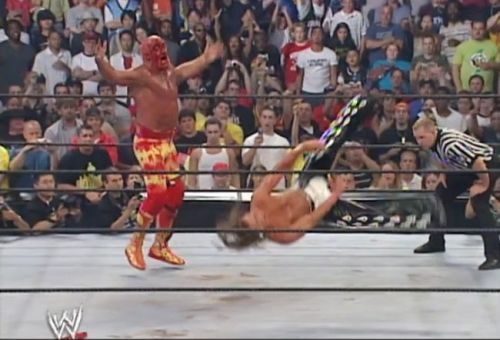 The 2005 program between Hulk Hogan and Shawn Michaels was originally planned to be a three-match series, with Michaels winning the first one at SummerSlam and the Hulkster winning the remaining two bouts. However, in an alleged political move out of ego, Hogan said that he would not be able to do the remaining two matches due to a lingering back injury. This prompted a change of plans, with Hogan winning the one and only match between the pair of legends at SummerSlam 2005. Michaels, who was furious at this possible blatant move, took matters into his own hands and made a complete and utter mockery of the impending "dream" match. Whenever Hogan would lay any kind of offence in on HBK, he would sell it like a dying fish out of the water. The Showstopper did this throughout the match and turned it into a farce. He would flop around the ring with many unnecessary flips and bumps in a blatant show of unprofessionalism, albeit at the entertainment of the viewers. It may have been a childish tantrum, but it will forever be remembered in SummerSlam history. However, Michaels should have been put over here. He was going on a stellar run, which included two absolute barnburners against Kurt Angle at WrestleMania and Vengeance. His heel work leading up to this match was also brilliant, highlighted by the "Who's your daddy, Montreal?" promo he cut. This was the last time HBK would ever be an outright heel, a really underrated part of his second run in the WWE.